M80ARM - Virtualization Warrior: The North East VMware User Group Wants you!!!! 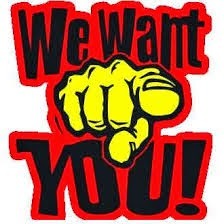 The North East VMware User Group Wants you!!!! Work or are looking to work with VMware technology in the future? Give back to the North East VMware community? The North East VMware User Group are looking for community speakers to present at events in the North East. Slots are normally 45 minutes long including any Q&A that the topic may generate. The topic can be based on anything relevant to VMware and / or your experiences designing, installing, using or supporting the software stack. These are great events to network with like minded people in the North East who work with VMware and virtualisation technology in general and a great platform to improve on your public speaking skills in a comfortable and familiar environment. If you have an idea and would like to put your name forward then please let me know and I will put you in touch with the leaders. There is also a mentoring program called FeedForward whereby seasoned public speakers are willing to give up their time to help you with your presentation content and give advice and tips with the delivery of the content. Mike Laverick (Blog | Twitter) has a post regarding this. We may be able to offer some bribes prizes for all community presenters who present at an event.